The Lamborghini Marzal was a stunning prototype concept car with all glass gullwing doors. 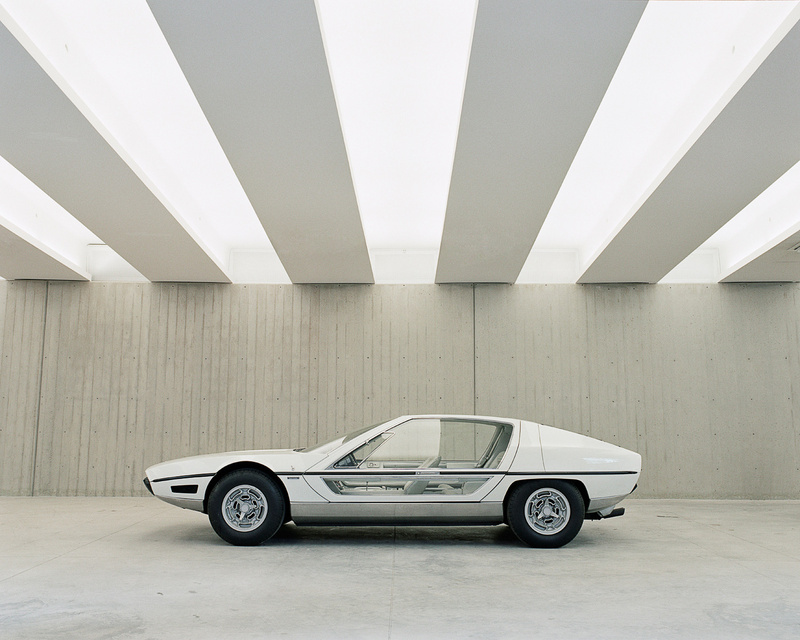 The Marzal was presented by Lamborghini at the 1967 Geneva Motor Show. 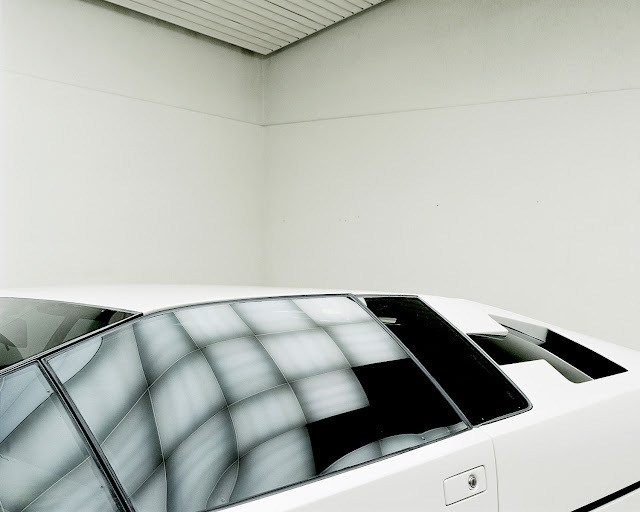 Designed by Marcello Gandini of Bertone, it was created to supply Ferruccio Lamborghini with a true four-seater car for his lineup which already included the 400GT 2+2 and the Miura. 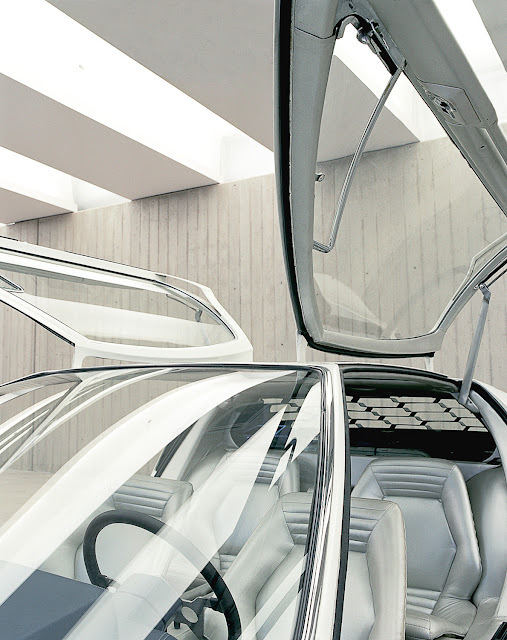 It was distinguished by amply glazed gullwing-doors and an equally amply louvered rear window. 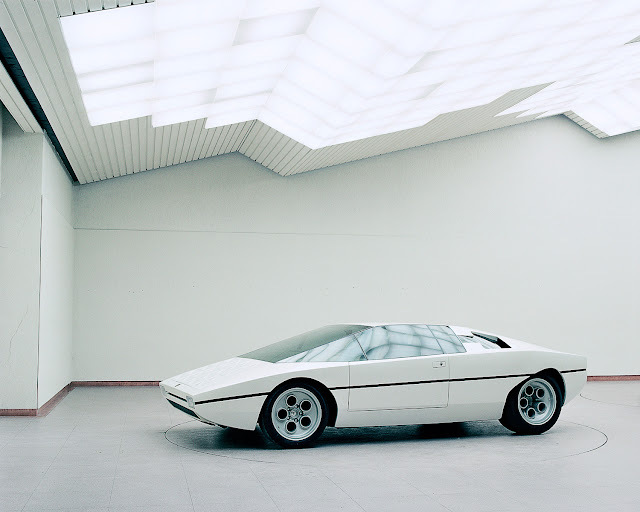 Propulsion was by a 2L 175 bhp (130 kW) in-line six engine, actually a split-in-half version of Lamborghini's 4L V12, mated to a five speed transmission. 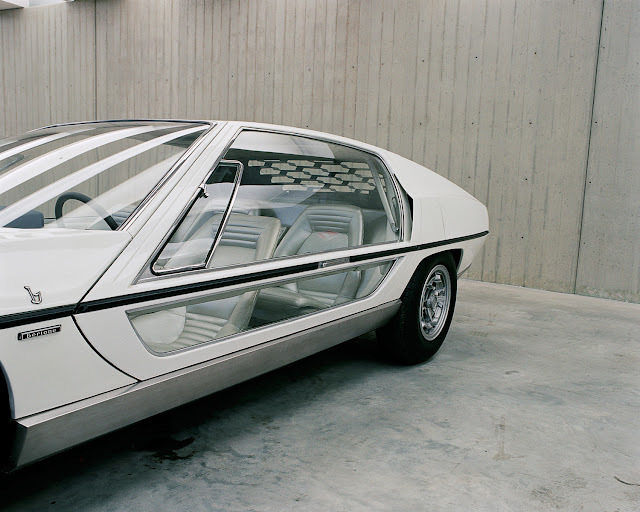 The Marzal remained a one-off concept car, though the general shape and many of the ideas would go on to be used in the Espada. 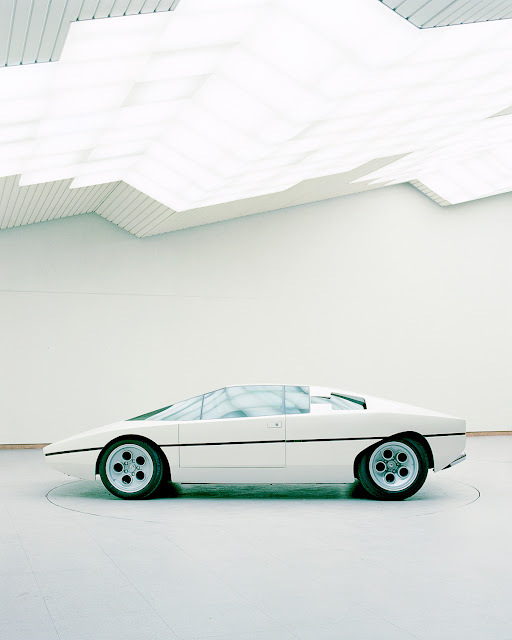 The Lamborghini Marzal Concept Car was publicly driven only once by Princess Grace and her husband as the Monaco Grand-Prix pace car the same year it was designed.